Not only does Industrial Commercial Properties renovate and locate the right property for our clients, but our expert team of responsive commercial property management professionals also takes care of every need as soon as the property is acquired. 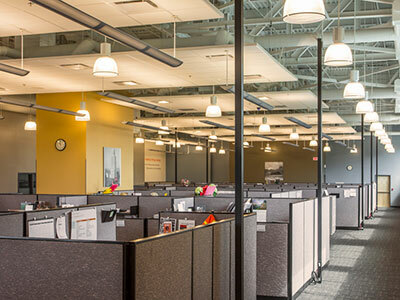 Whether you are leasing space for an industrial warehouse, manufacturing, offices or something else, our commercial property management team oversees all day-to-day needs of the facility and all of a tenant’s needs, including development and improvements. Our extensive portfolio of industrial facilities provides a large inventory of properties to meet all of our clients’ complex requirements, giving them the flexibility they need while still allowing them to grow their business or organization. We are committed to maintaining friendly and professional relationships with our tenants as we build long-term relationships. This shows in the many clients who return to us year after year to help them grow and develop toward bigger and better facility spaces.